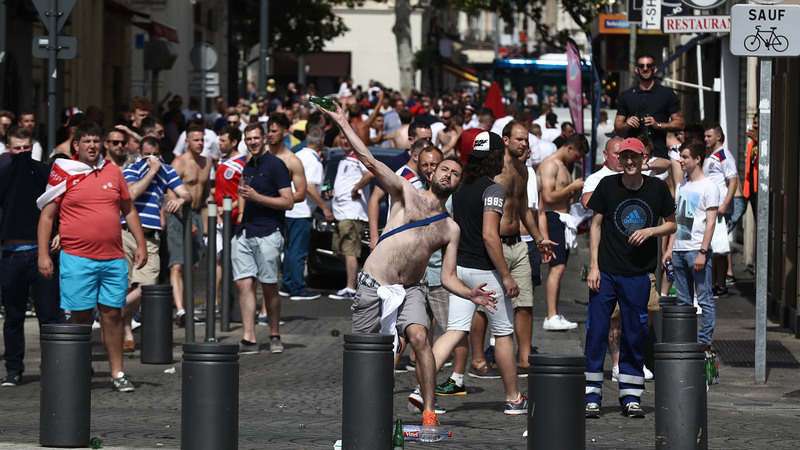 Two notorious Russian hooligans have told Goal of the strict moral code which exists within the country's football mobs and say that they respect England fans despite the trouble between the two groups which landed Russia in hot water during Euro 2016. They also insist that World Cup 2018 in Russia will be "the safest tournament in history". 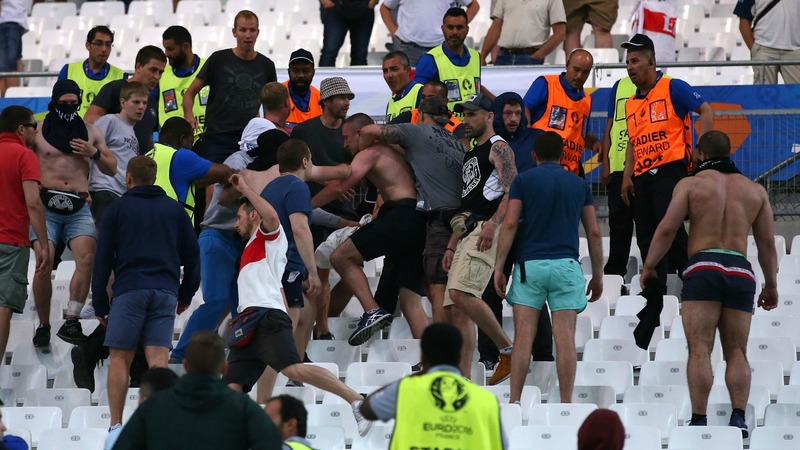 Multiple clashes in the streets of Marseille before the Group B match between England and Russia spilled over into the stands of the Stade Velodrome, with a charge by Russian supporters at full-time leading UEFA to hand their team a suspended expulsion from the competition. 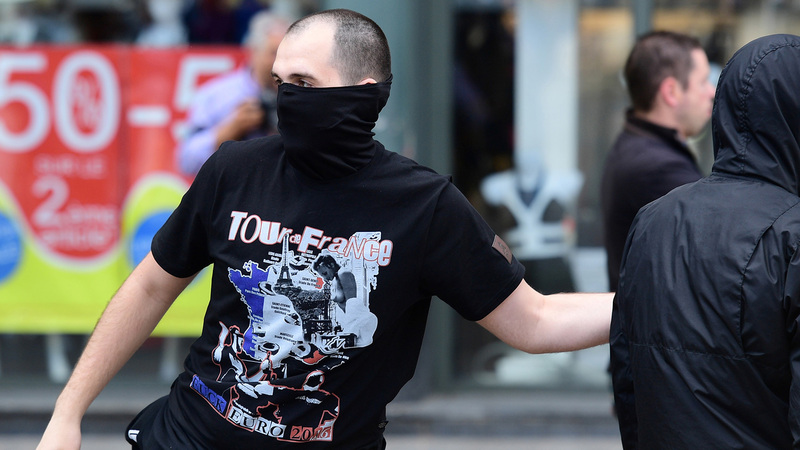 But a pair of high-ranking former ultras, who travelled to France for part of the tournament, met with Goal to explain the reasons for the battles as rival Russian fans united to take on English supporters who, they say, needed to "face the consequences" of their actions. "When there are 150,000 people drinking beer from glasses and you leave them without police, then something will happen, especially when British and Russians are meeting because all Russian people are born with British hooligan traditions," said Alexey, whose surname has been withheld to preserve anonymity. "It was not planned before because there were some tensions between Moscow and St Petersburg, even during the national-team games. But when a group of five Muscovites and 10 St Petersburg had some conflict in a pub with the British, they called others and decided to stop the tensions to unite against the English. "For one evening, they saw the British as rivals... but for only one evening. 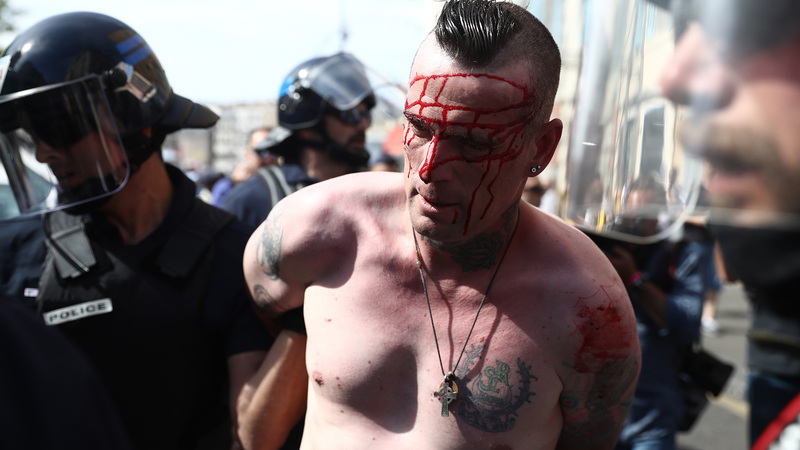 We talked to people in Toulouse who were in Marseille but they've already forgotten about it. They were drinking beer with the Irish and Welsh people. There is nothing personal." 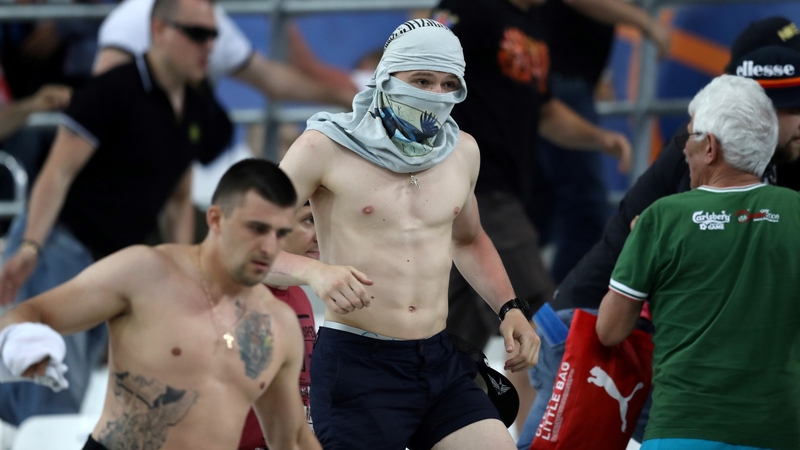 Misha, who was heavily involved in hooligan gangs representing Zenit St Petersburg and Russia before taking a back seat after starting a family, added that the trouble at full-time came after 90 minutes of verbal abuse and the throwing of projectiles by England supporters exacerbated by the lack of segregation in the ground. "It was very bad work from the police. They didn't separate the English from the Russians with anything, just a thin tape. In Russia at a game, there are two blocks separating you," he explained. "All the game, the England fans were shouting 'f***ing this, f***ing that, f***ing c***', all the game, because they think that nobody will smash them. It was all the game! "In Russia, if you say this, I have to smash you. I cannot tell you 'hey, f*** you' and walk away. In Russia, if somebody tells you this, you have to smash them. "That's why it happened after all the match of 'f***ing, f***ing, f***ing' with their fingers raised and, when Russia scored the goal, England were throwing coins at the Russian sector. These were real Russian hooligans, the top boys. All the match, they were like a bear, then responded but no-one from England would fight. They all ran away. "We don't want to say that it is all the fault of the police and English," Alexey added. "You have to expect things. Of course, we fight but, if you say something in Russia, you have to be willing to answer. You are not able to just say without thinking, without some consequences." The pair rejected talk of there having been political influence in the trouble, with some news outlets suggesting that it was a planned response by Russian Special Forces. "The rumours about the connection between the authorities and the football fans are baseless because authorities want to control them but these are not people who want to be controlled. They cannot be controlled," said Alexey. "It's a joke to Russian people, of course it is. Especially for the guys who were in Marseille... when they read that they were the army of Putin, they were laughing! "We know some people who were told by the top police: 'hey, I want you to stay in Russia and not go to France otherwise you will have really bad troubles,' and that works. We know some people who are now in St Petersburg who have not been able to come out." Misha picks up: "They have a passport and a visa and can go but police in Russia can make big problems for you. These boys come together but we don't use weapons. That is our rule. We have a name for this rule: 'Russian style'. Only hands and legs, no weapons, no bottles, no glasses, nothing. "That's our rule in Russia and we want to make this the rule in all of Europe. No weapons, because we fight to fight, not to kill somebody." Alexey adds that the warring English and Russian groups were allies at one point in Marseille too. "Two days before the match, Russians were together with England against Muslims and Arabs in Marseille, the locals. They were fighting together," he explains. 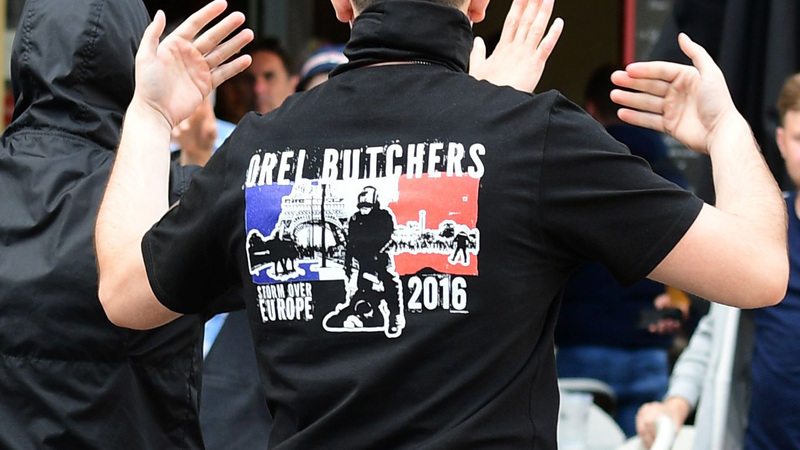 "A group of people from Moscow were in a pub with British guys and they were attacked by Marseille's famous hooligans with knives and things. They made a united action so it was not political reasons. "The things which happened in Marseille were like if I opened a pub and didn't have any toilets then was really surprised if people use my walls as toilets. What did they expect? Police should take care about 150,000 people drinking beer in the square from three different countries, for three days." And while there have been fears voiced in recent weeks that World Cup 2018 could be a haven for violence, both insist that the event will be memorable for all the right reasons and without a hint of trouble thanks to the standard of Russian policing. "In Russia, in 2018, the police will show to all Europe how it should work," said Misha. "It will be the safest championship in all of history because Russian police know how to work. "In 2008, when it was the Champions League final, Manchester United played with Chelsea in Moscow. There was not one problem. A lot of England came and there was not one problem. Everything was good because the Russian police think ahead. "In Russia we have a saying that 'a place doesn't make a man, a man makes a place', and I think here it is not such a good atmosphere but we are sure that, in Russia, it will be the best championship in all of history because there will be no problem with other nations' people and Russians. "The main thing we want to tell you is that we don't hate European people. We like simple people like you but you are a man and I am a man. "We want to leave a positive impression. We have simple lives, we have to do hard work and have work problems, that's why we want to live positive. When I stand up in a morning, I say: 'one day more in my life, OK, good.'" Alexey agrees: "If you want trouble, we can arrange it. If you want some troubles, just tell us and we will arrive. If you want some beer, we'll get some beer. No problem. It is very simple."